Our unique cheeses are sourced from the finest cheese producing regions of the world and have been ‘rigorously’ paired by our winemakers to our portfolio of wines. 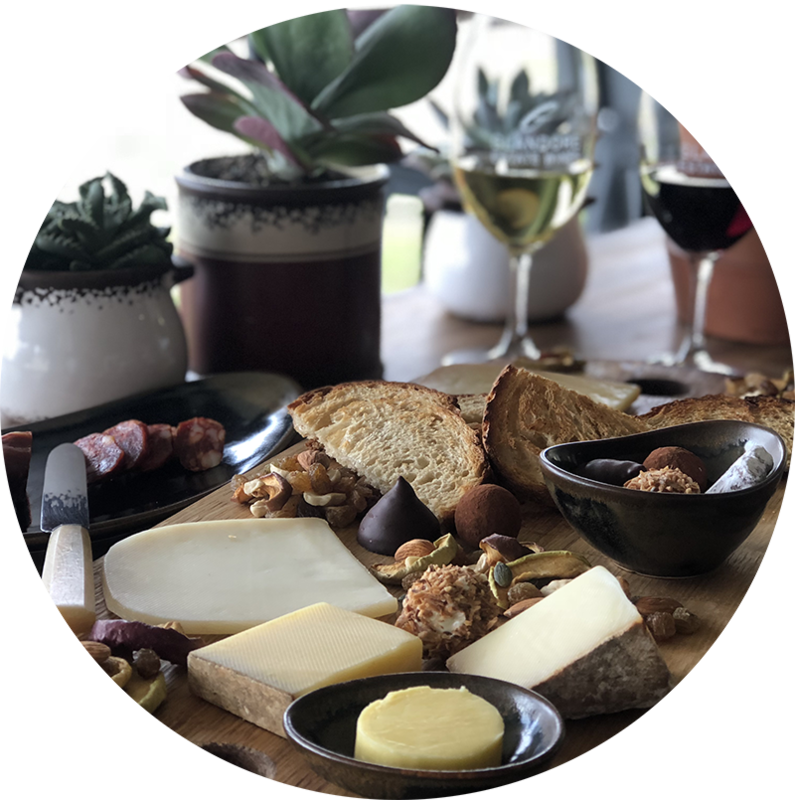 With a European twist enjoy four superb cheeses whilst you give in to temptation with fresh, local sourdough from Fawk Foods, cultured butters and choose to spice things up with a selection from Cacciatoire Salami. If there is a large group attending you are able to purchase multiple Cheese Board arrangements. Just select the quantity of boards required in the menu boxes below and we will take care of the rest.